W Goa is the jewel in the crown of North Goa’s lovely coast. 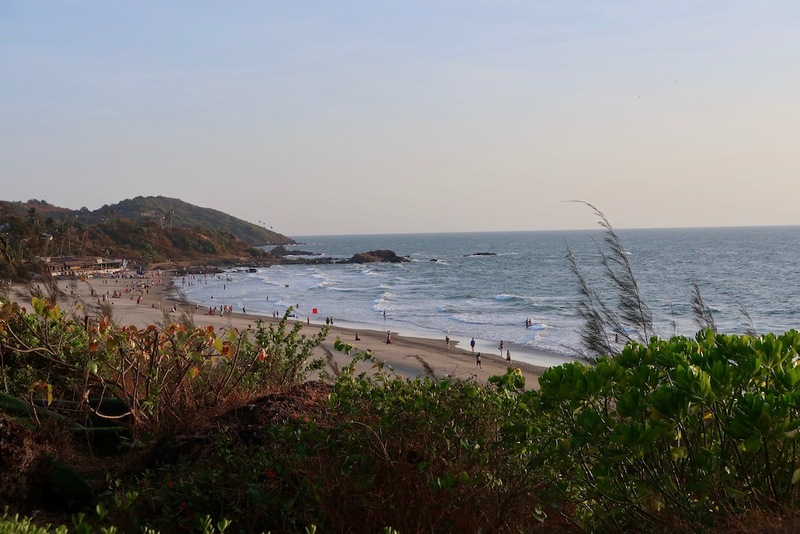 A one-hour flight from Mumbai and a 90-minute drive from Goa International Airport, it’s a tropical paradise, with an expansive, private coastal setting and breath-taking views overlooking Vagator beach and the Arabian sea. 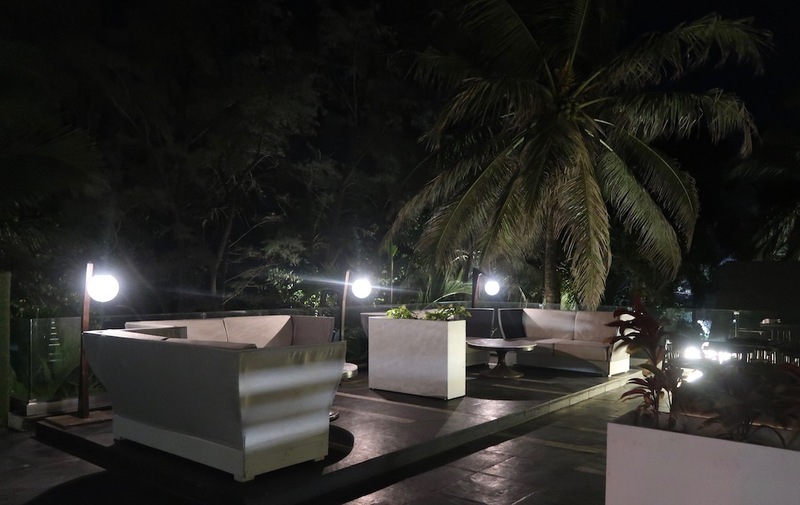 We were staying in a quiet retreat, Nilaya Hermitage, in the hills of Arpora, so it was quite a contrast and rather a treat to be invited to the ritzy Marriott Hotel W Goa for a fun-filled evening, kicking off with cocktails at sunset at Rock Pool, followed by dinner at their award-winning restaurant Spice Traders. 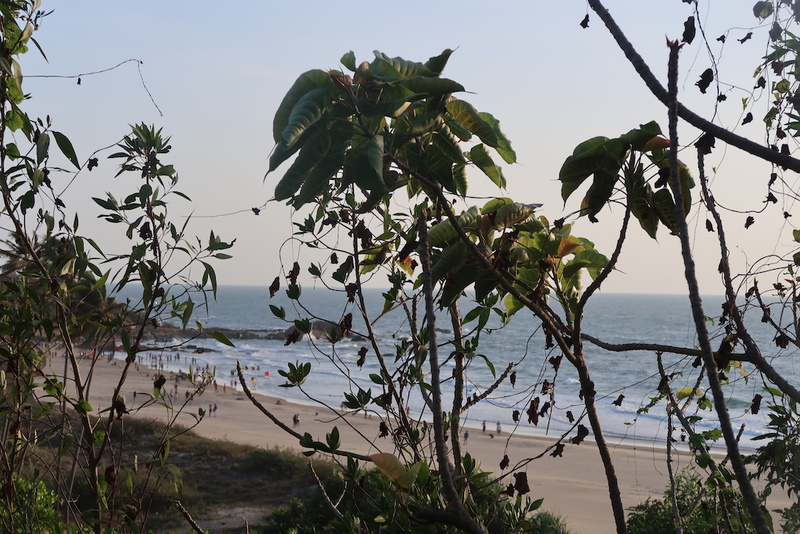 Vagator was once a mecca for hippies and New-Age travellers in search of the ultimate beach paradise. 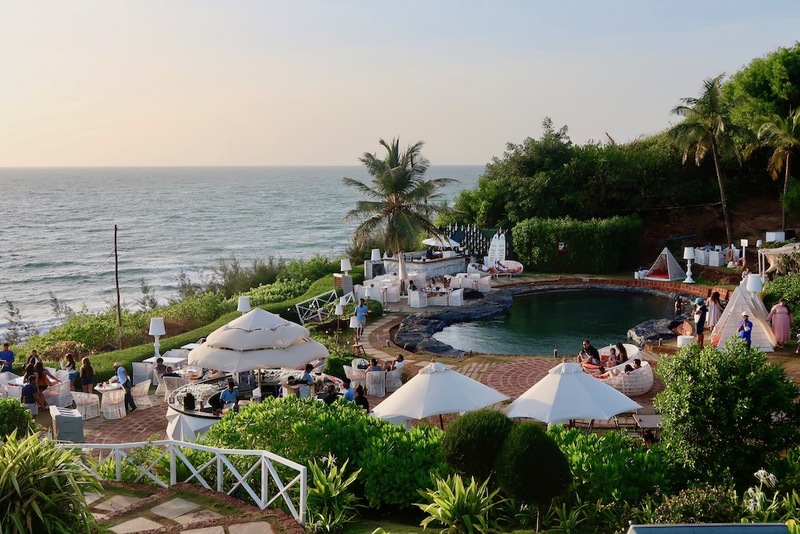 Whilst W Goa draws its inspiration from the state’s rich history as a destination for the ‘alternative’ set, unsurprisingly it has transformed now into a cosmopolitan hotel resort, arranged over 23 acres. 109 stylish, spacious guestrooms and villas are discreetly spread the along the coastline, against a backdrop of dramatic red cliffs and spectacular tropical panoramas. 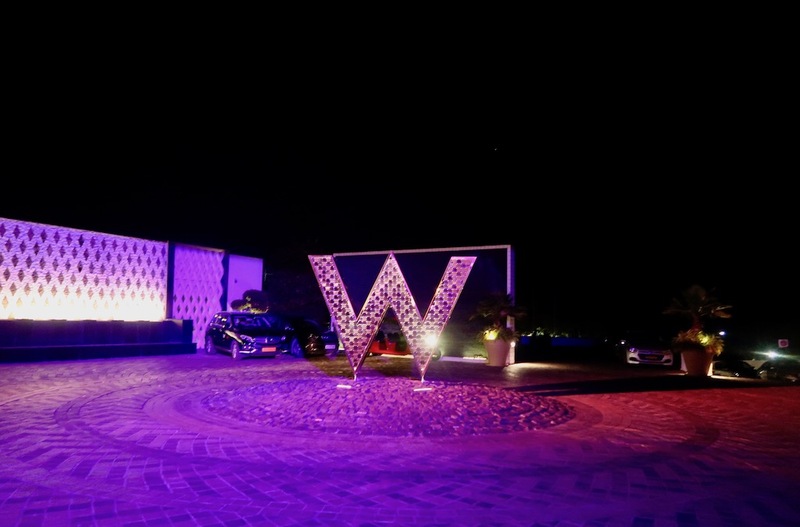 As we drove into its sweeping driveway we couldn’t miss the eye-catching signature neon W and feel a thrill of the glamour of this luxury hotel, which only opened just over a year ago. On arrival, we were put through high-security checks, and then a hotel buggy transported us to Rock Pool (buggies are available for all visitors as the hotel grounds are vast). 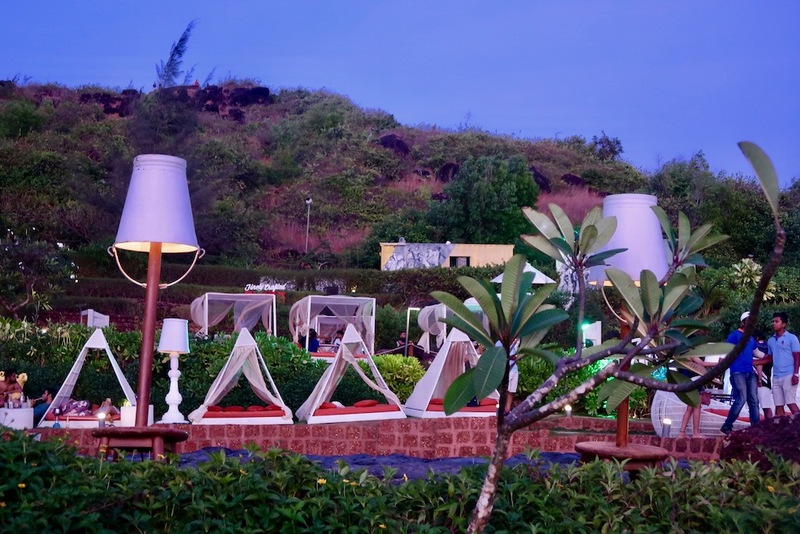 Our first stop was the Rock Pool; a spectacular bar nestling in a naturally carved hollow, just below Chapora Fort, with meticulously maintained landscape gardens surrounding manmade rock pools. Here you can lounge in the sumptuous cabanas on soft seating, sit at the bar, or at one of the tables. As the night drew in groups of glamorous friends gathered and couples cosied up drinking cocktails, smoking shisha or enjoying a light meal. 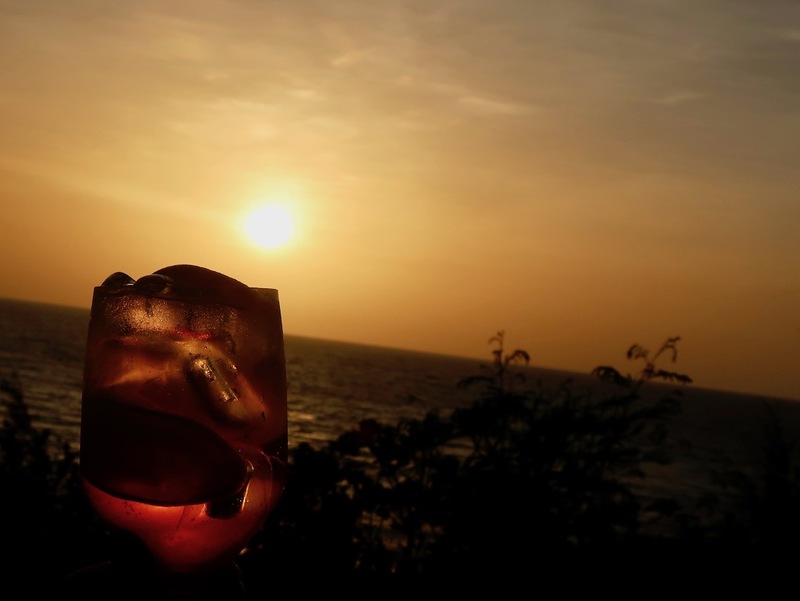 It was a beautifully warm and sultry Indian evening, made all the more fabulous by sipping refreshing gin cocktails whilst watching the sunset over Vagator beach, with the backdrop of cool ambient music. 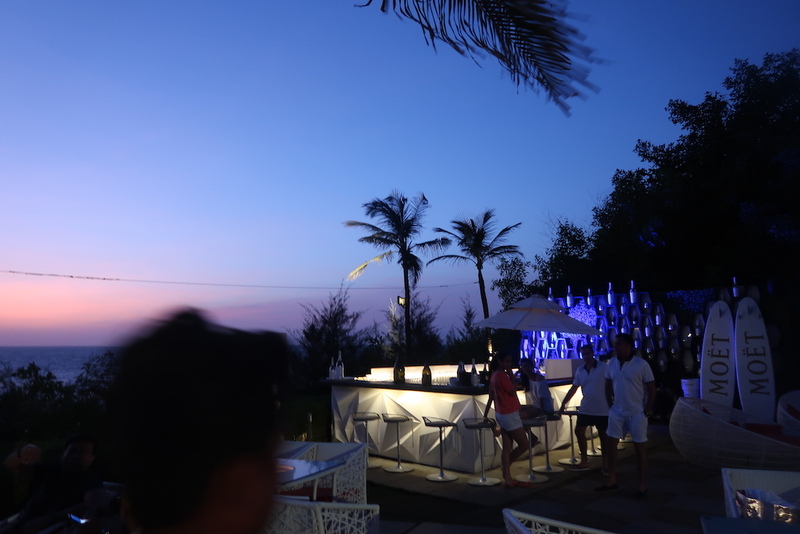 And what an exotic location it is; perfect for taking in the breath-taking views and savouring the sunset. 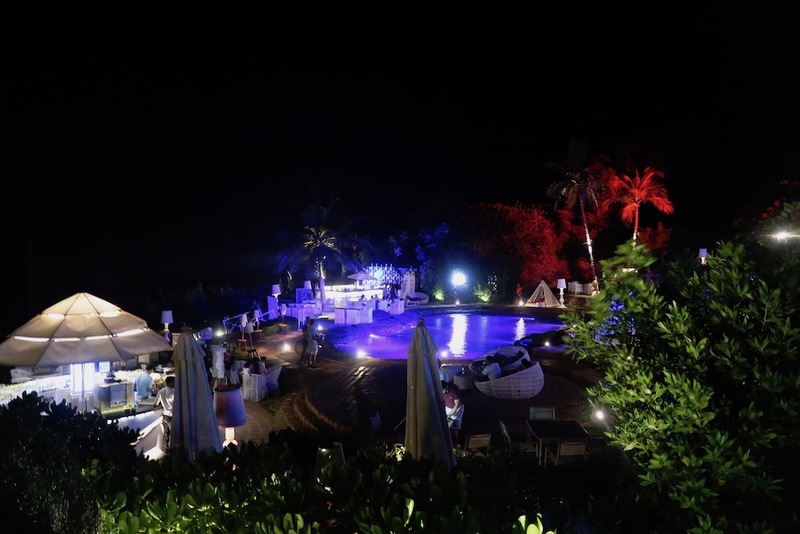 And as day fades into darkness, Rock Pool transforms, lighting up with an array of colours; glowing purples, reds, and blues glistened on the hillside…pulsating music… quite the place for a party! 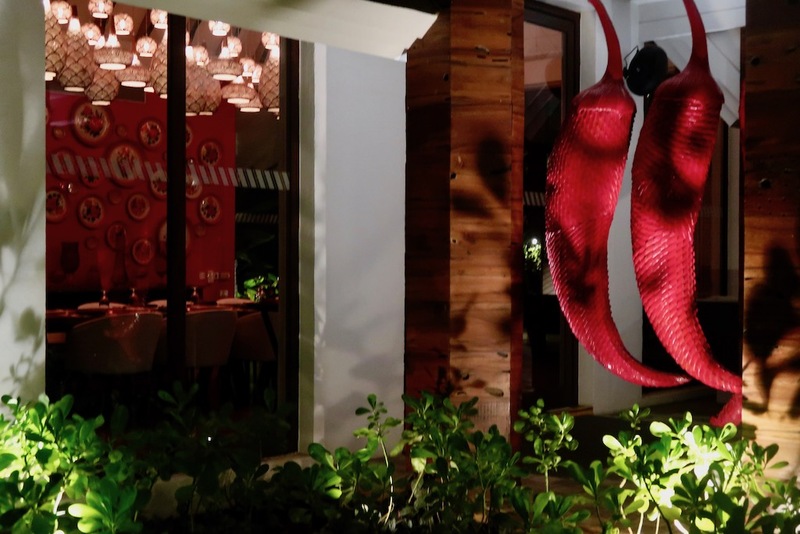 First impressions were of the giant ‘red chilli’ installation which flanks its entrance; the striking creation of Goa’s renowned artist Subodh Kerkar. 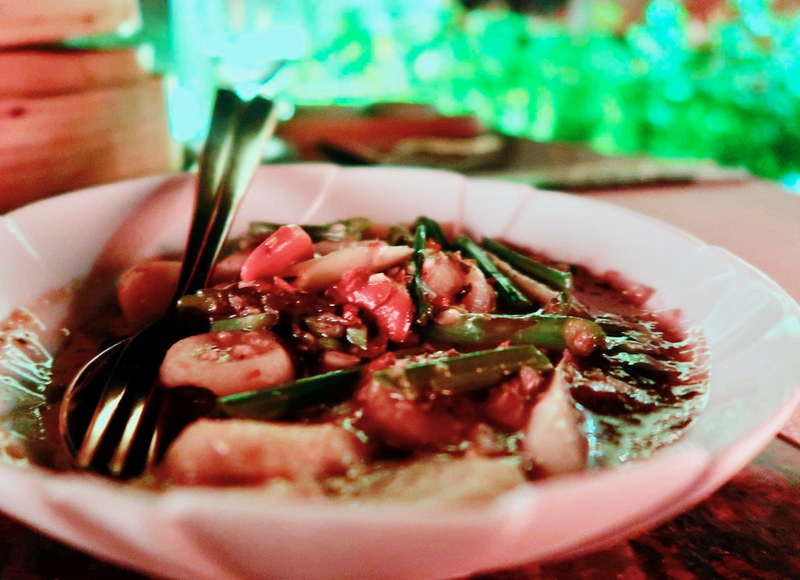 W Goa’s award-winning Pan-Asian restaurant Spice Traders is set over two floors. Its contemporary design is super sleek and stylish, with sweeping marble and glass and an array of beautiful hanging lights. 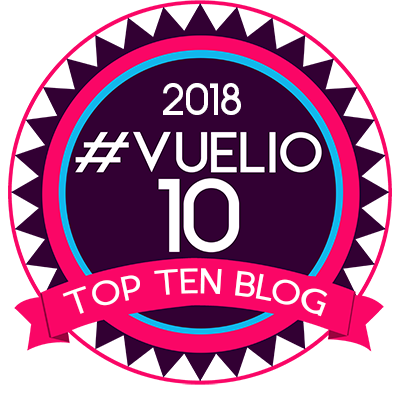 We ate on the All’aperto terrace, surrounded by tall palm trees and a stunning view over the ocean…such a wonderfully romantic setting, with soft lighting and the sound of lapping waves in the background. 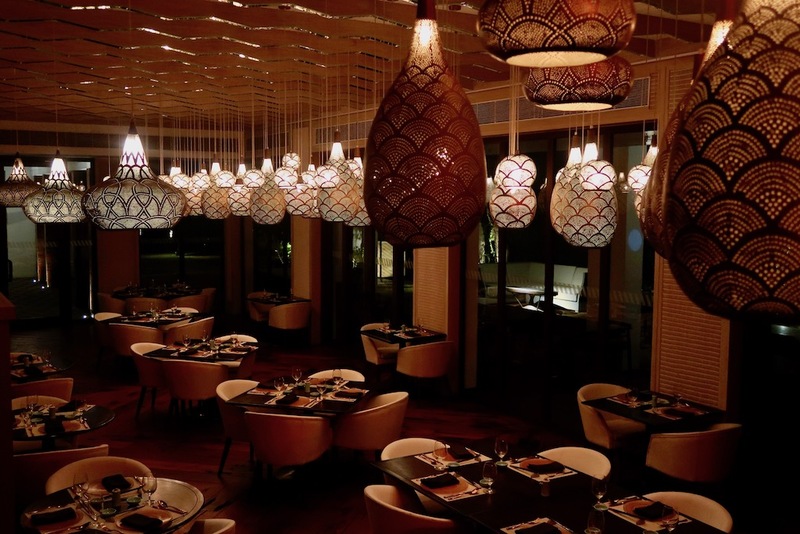 Elegant surroundings perfectly complemented a delectable menu, all masterminded by Exec Chef Tanveer Kwatra and Chef Dawa Rama. Our Apéritif was the ‘Woogo’ – a fabulous concoction of gin, white wine, lemon grass and cucumber – and a cocktail with a kick! 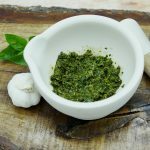 After checking our particular likes and allergies, Chef Kamal Kumar accommodated with a consummate selection of dishes from his repertoire, all served with wonderful attention to detail and the most exquisite presentation. Course after of course of mouth-watering plates arrived, which we accompanied with a beautifully chilled bottle of Two Oceans – Sauvignon Blanc, South Africa 2017, dry and citrus. 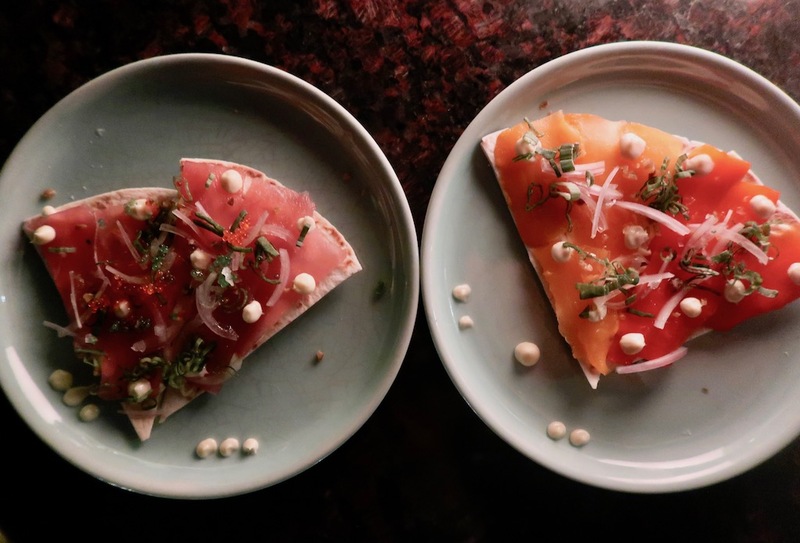 Kamal’s signature dish was a divinely thin crisp tortilla – topped with tuna carpaccio and truffle oil, and another with finely-sliced bell peppers, fresh herbs and tongue-tingling droplets of creamy horseradish. 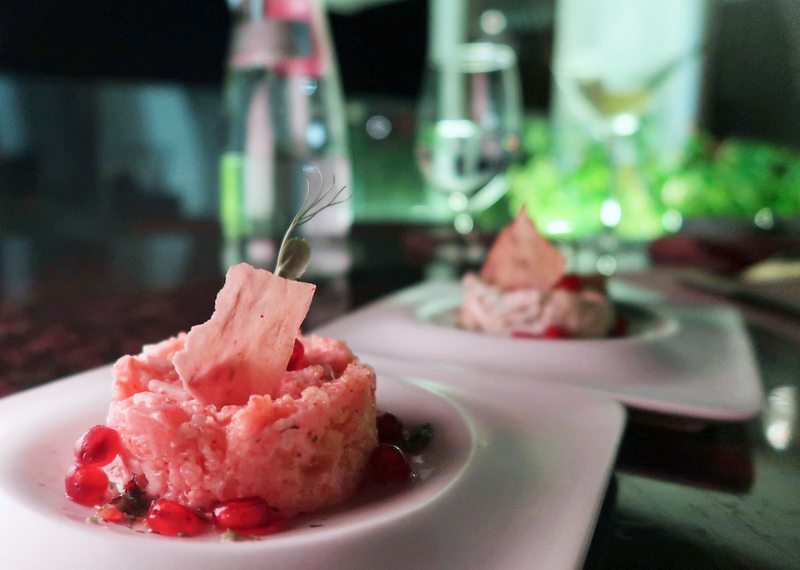 Next, a pair of perfectly-formed small terrines: one featuring chilli-infused salmon and jewels of sweet pomegranate: another with creamy avocado. 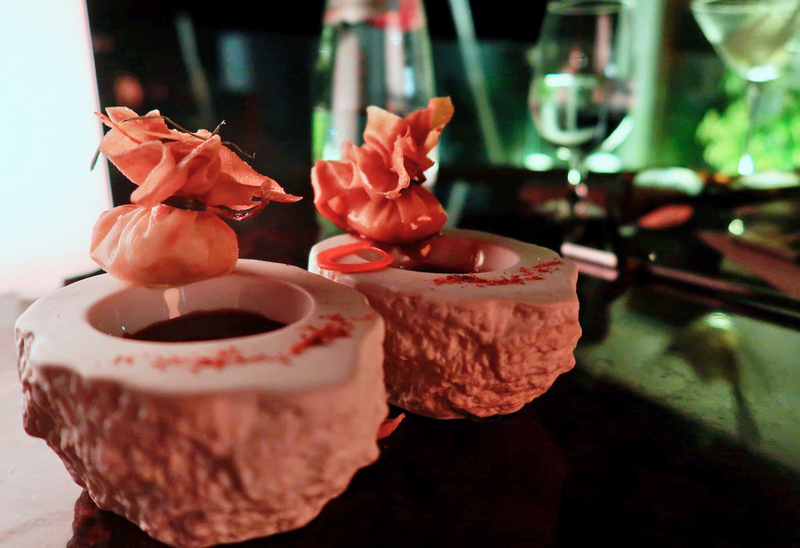 I adored the delicate, crisp and creamy, melt-in-the-mouth goat’s cheese wonton parcels, which were perched elegantly on a small bowl of rich miso plum sauce. 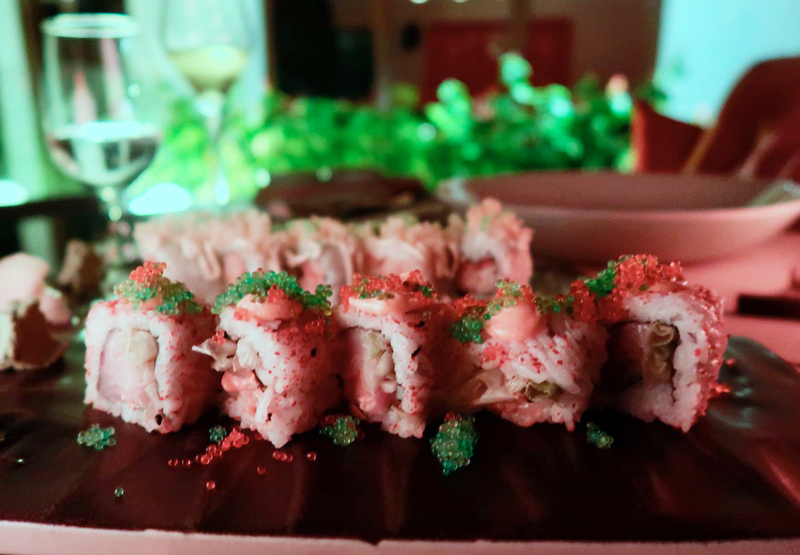 Sushi was feast of delectable textures and flavours, including ‘the Fantastic Mushroom’; a Japanese Enoki mushroom infused with truffle oil, topped with caviar and moist, melting avocado and cucumber. 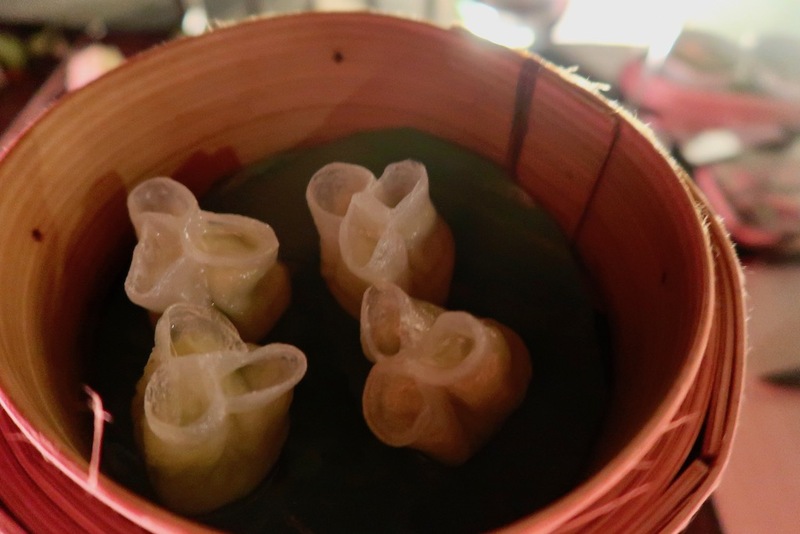 Beautifully poised dim sum parcels arrived stacked in bamboo baskets – tender chicken and chestnut with warm spices, subtle and creamy edamame: sea-fresh prawn with vegetable: and rich, piquant duck and cherry. 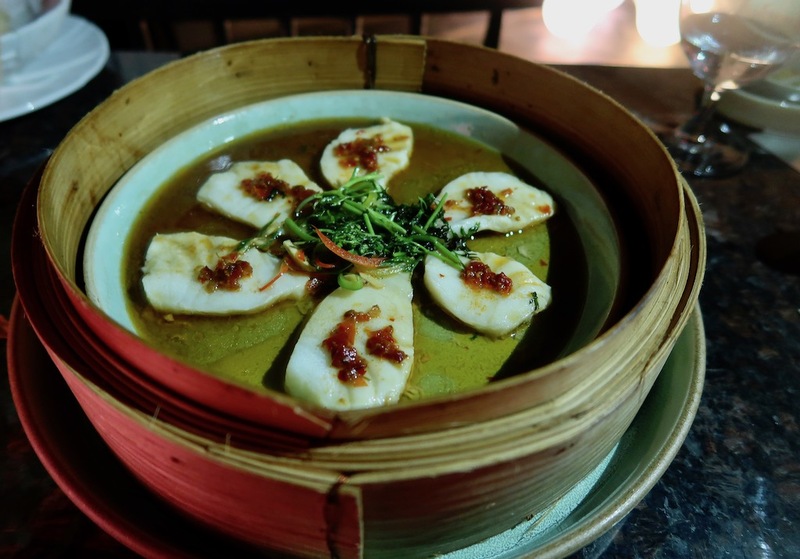 The highlight, though, had to be the flawlessly cooked medallions of succulent, delicate sea bass, topped with lively, lightly pickled Hunan chilies. 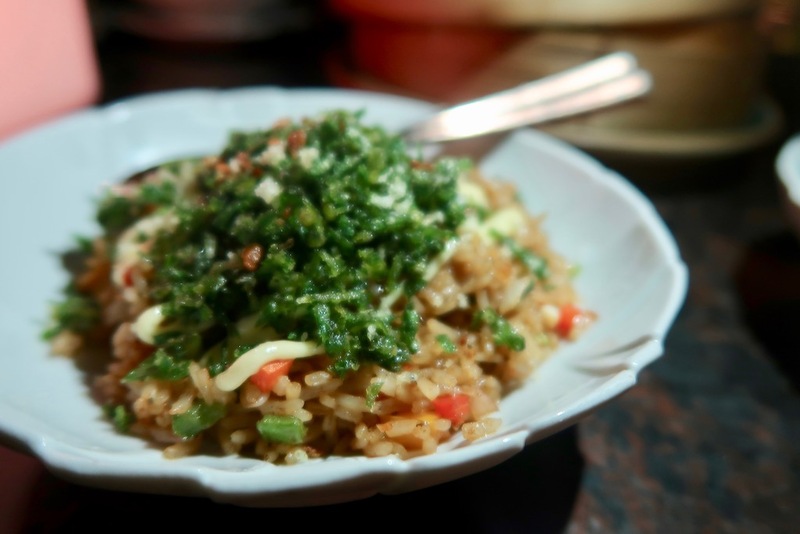 The fish was served with Spice Traders’ tasty signature vegetable rice, topped with a sprinkle of crunchy seaweed, and stir-fried tender asparagus, with crunchy water chestnuts and cashews. 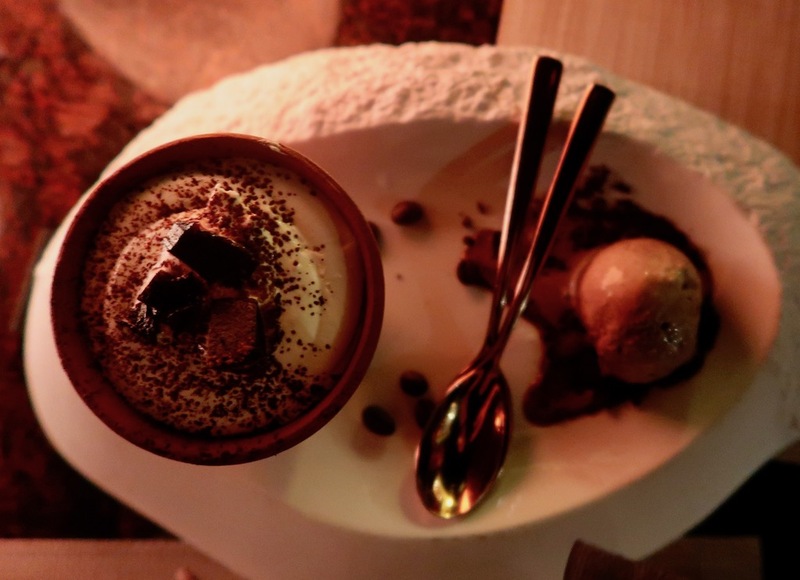 Desert continued to impress with a selection of three homemade ice creams: proper-tasting peanut butter with whole nuts: Panda’s leaf and toothsome caramel: and – last but not least – a finger-licking tiramisu with chocolate ice cream and crunchy coffee beans. 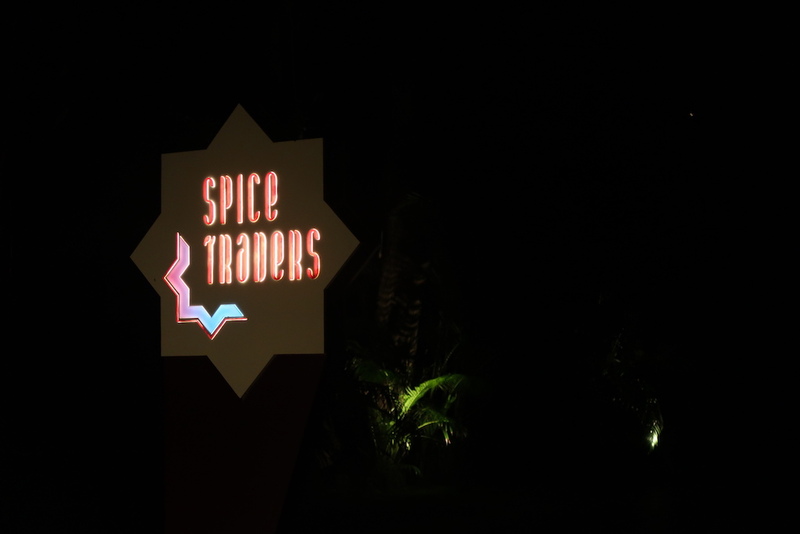 W Goa’s Spice Traders is a true culinary delight, an impressive, upmarket, cosmopolitan experience, well worth a visit if you’re in Goa…or perhaps you might like to stay? P.S. And for those of you who believe in the stars, you might like to know that about W Hotels’ exclusive ‘Astrology Destination Guide’ in partnership with Ruby Warrington, Astro-expert and founder of The Numinous. 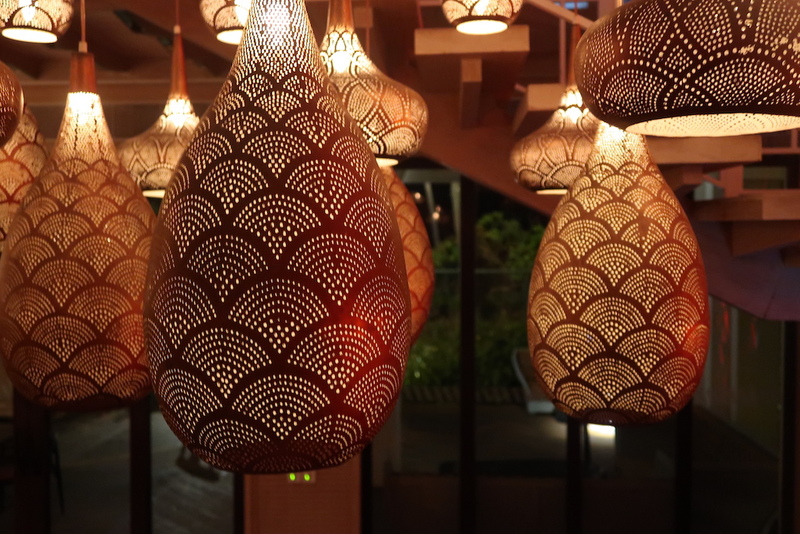 In keeping with W Hotels’ bold nature, Ruby has developed a playful guide to Asia-Pacific – matching the unique characteristic of the bustling cities to each zodiac sign to show which destination is best suited to their star sign – think Bangkok for life of the party Leos and Goa for adventurous Sagittarians. Sagittarians can head to W Goa to get their hands on a limited-edition cocktail at Woobar & Rockpool created just for them!